When you’re planning a move, it’s important to not overlook how the stress can cause problems in other areas of your life. There’s no doubt, packing up your family and moving to a new neighborhood, or even an entirely new city or state can be a challenging experience. There are many emotions, some excitement, and maybe a little trepidation. However, change can also be a wonderful thing, but if you have kids it’s important that you keep them informed throughout the process. Many homeowners have found that moving with kids can be much easier if the kids are kept in the loop. If possible, let them do some of the house hunting with you or at least visit the neighborhood once a choice has been made. Give them a tour of their new school before the move. Make arrangements for friends to visit, and keep the whole experience upbeat. Kids can tell when the adults are worried or stressed. 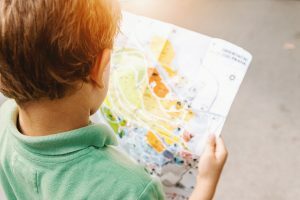 When kids have an opportunity to actually be a part of the move rather than just another thing the family will take along with them, they’ll feel much more connected. Discuss as a family what items you’re ready to part with; you could even have a garage sale to help pare down the number of things you’ll need to move. As moving day gets closer, let the kids take some of the responsibility for packing their own things. A little guidance, and maybe some adult supervision, will likely be in order, but let them take the lead on packing and moving their things. Give them boxes and packing materials and have them label the boxes so that they know exactly which boxes will go to their new room. When moving day arrives, make the day a pleasant adventure. Your child might be sad to leave their old home and friends, but looking forward to new friends, new experiences, and many new adventures can make the move much more enjoyable.